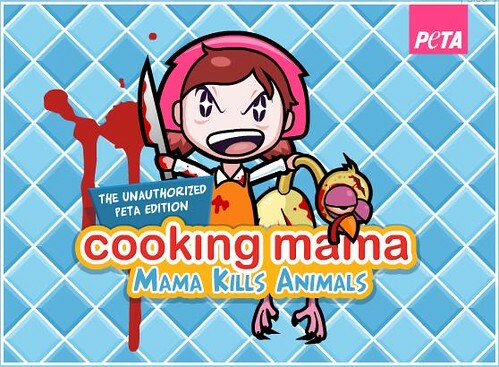 Speaking of Thanksgiving, PETA’s come out with an unofficial Cooking Mama game. That’s a fun game. It’s gross but they cuted it up.